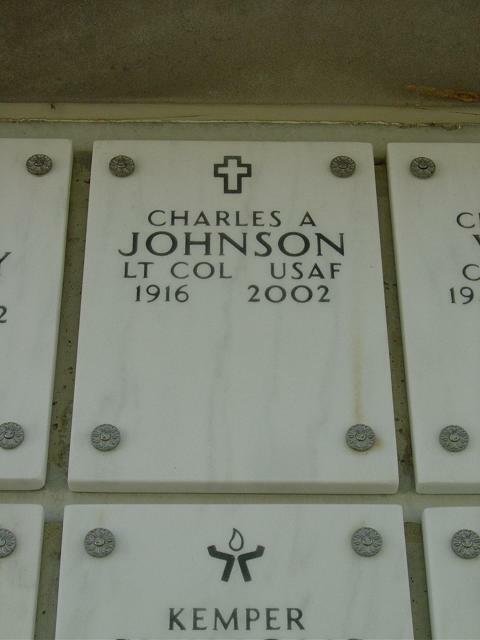 Charles Albert Johnson, 86, a retired U.S. Information Agency cultural affairs official and teacher with the University of Maryland overseas program in Germany, died August 18, 2002, at his home in Washington. He had congestive heart failure. In the 1990s, Dr. Johnson taught American history at American University to area retirees. He was a Chicago native and a graduate of the University of Chicago, where he also received a master's degree in American history. He received a doctorate in American history and political science from Northwestern University. He worked for USIA for 22 years, retiring in 1976 as deputy cultural affairs officer in Bombay. Earlier assignments took him to Europe and Central America. He taught American history and American political theory at the Maryland campus in Germany before settling in the Washington area in 1989. He wrote "The Frontier Camp Meeting: Religion's Harvest Time" and contributed to a college textbook, "The United States: A History of Democracy." He was an Army Air Forces veteran of World War II and retired from the Air Force reserves as a Lieutenant Colonel in 1971. His marriage to Marian Rentsch Johnson ended in divorce. Survivors include his wife of 39 years, Ingeborg Elo Johnson of Washington; two daughters from his first marriage, Suzanne Stack of Washington and Christine Pappas of Chagrin Falls, Ohio; a sister; a brother; and three grandchildren. A daughter from the first marriage, Linda Smith, died in 1991. On Sunday, August 18, 2002 of Washington, D.C.; beloved husband of Ingeborg Johnson; father of Suzanne Stack of Washington, Christine Pappas of Chagrin Falls, OH and the late Linda Smith; also survived are three grandhcildren, Amy Jones, Stephaine Pappas and Kiersten Pappas. Memorial services will be held at JOSEPH GAWLERS CHAPEL, 5130 Wisconsin Ave NW, Washington, D.C. on Saturday, August 24 at 2 p.m. Interment at Arlington National Cemetery on Monday, September 9 at 10 a.m. In lieu of flowers memorial contributions may be made to the American Heart Association, P.O. Box 5216, Glen Allen, VA 23058-5216.